The thrift store of the Rossland Health Care Auxiliary is a popular spot. With folks waiting in line for the shop to open each Wednesday, Friday and Saturday to search out what new gems have made their way onto shelves, the store is in high demand by local and not-so-local shoppers. But the store is much more than a place to find bargains or vintage items. It is a major annual contributor to the health foundation of the Kootenay Boundary Regional Hospital, plus to community organizations like the Rossland Search and Rescue, Rossland and Trail food banks and Trail hospice. 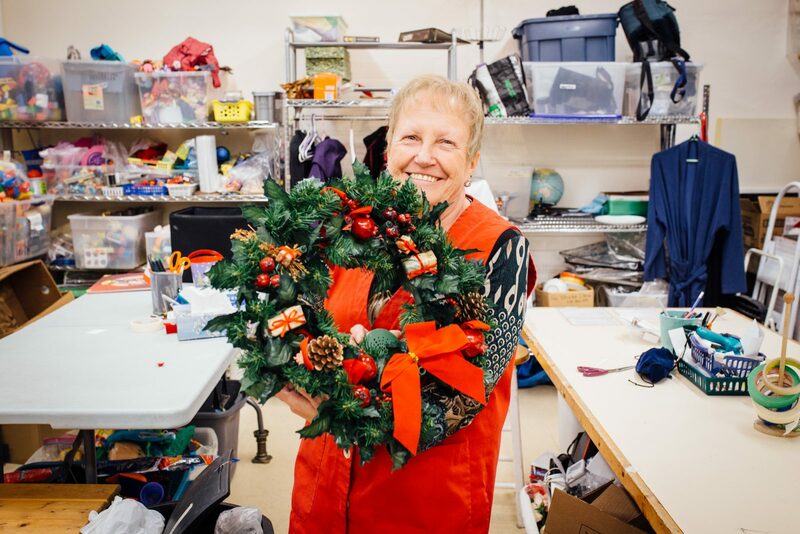 Skinner lists many joys when it comes to the store, but three stand out for her: the support the store provides to the community, the camaraderie of working as a group, and how hard they work to keep as many items as possible out of the landfill. In ways like these, the Society is making a real difference – one reason the Trust supports it and so many other non-profits across the Basin. This year, the Trust helped fund a mechanical room with a new heating and air conditioning system. Now heading into its 81st year, the store shows no signs of slowing down – much of it thanks to its many volunteers. Skinner says, “It’s amazing what people can achieve when they put their heart and soul into something they believe in.” If you want to learn more about what the Rossland Health Care Auxiliary thrift store does, visit their facebook page.